They are most famous for being violent invaders of foreign shores but a new book by a University of Nottingham Viking expert shows they were also poetry lovers with a wicked sense of humour! 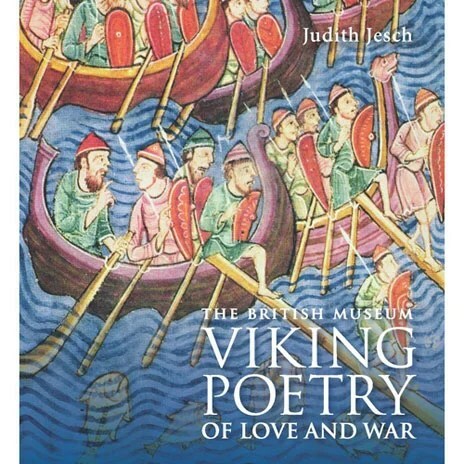 Viking Poetry of Love and War by Professor Judith Jesch, of the University of Nottingham’s Centre for the Study of the Viking Age, is the first collection in English with extracts from the full range of Viking poetry published in the United Kingdom. The colourful volume published today by the British Museum, is an accessible introduction to the broad poetry ranges of the Vikings, from the highly formal to the light-hearted and bawdy. The selection is taken from a variety of sources from the 10th to the 13th centuries, from runes (carvings on wood, bone and stone), oral tradition and medieval manuscripts. the wee ones were wretched. well may it smack its lips! The new book includes short explanations of the ‘kenning’ in Viking poetry, a complex form of metaphorical diction that introduces new and often incongruous imagery. The narrative is also an informative guide to the contexts and forms of this large and varied body of unique ancient writing. Viking Poetry of Love and War is illustrated with more than 50 full colour images of Viking art and runes from the British Museum collection. Judith Jesch is Professor of Viking Studies at The University of Nottingham. Her expertise focuses on the variety of texts composed and written in Old Norse-Icelandic. She has extensive research experience in the general and cultural history of the Viking Age and the relationships of language, texts and contexts during this period.